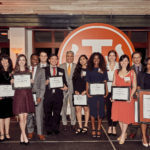 Aimee Woodall is the CEO and founder of the Black Sheep Agency in Houston and has been working with the First Lady’s office to create Better Make Room, an engagement campaign for the White House’s Reach Higher initiative, which is focused on getting Generation Z connected with the resources and guidance to continue their education. Members of the Black Sheep Agency enjoyed their time working with the White House. 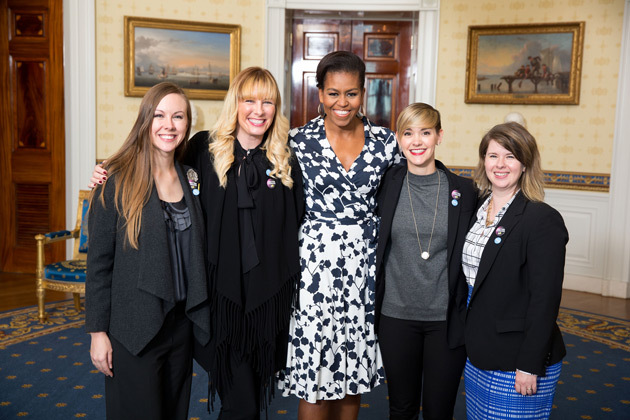 From left: Jo Skillman, Aimee Woodall, BS ’01, First Lady Michelle Obama, Jessica Craft and Sarah Gabbart.